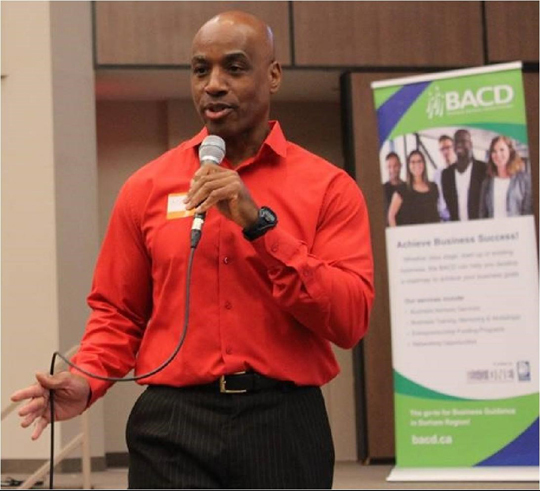 The founder of Speak And Grow Your Business™, Entrepreneur Public Speaking™ and a Distinguished Toastmaster (DTM), Marlon's mission is to empower entrepreneurs to take control of their business success. 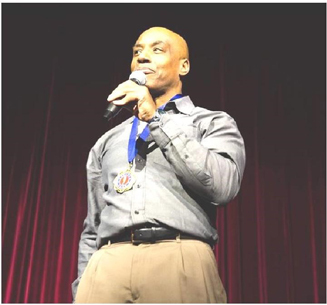 As a professional speaker and certified speaking coach with over 25 years of entrepreneurial experience, Marlon specializes in helping entrepreneurs and business professionals take their speaking skills to the next level, as well as use speaking as a marketing strategy to become the go-to-expert, attract more clients and grow their business. "We've had the pleasure of having Marlon Shaw speak at our annual Small Business Forum two years running. The return engagement was the result of the overwhelmingly positive feedback from our attendees. Marlon has a unique way of delivering timely and relevant information while capturing and holding the audience attention from his opening to closing. Definitely a favorite in our business Community. For anyone looking to book a speaker who balances serious content with an engaging wit, I would highly recommend Marlon!" "Your enlightening presentation on interview strategies for clients was a resounding success. The 5 strategies were invaluable, and provided great 'Ah ha' moments to all participants! Clients left the presentation feeling highly confident, motivated and ready to incorporate their new learning."